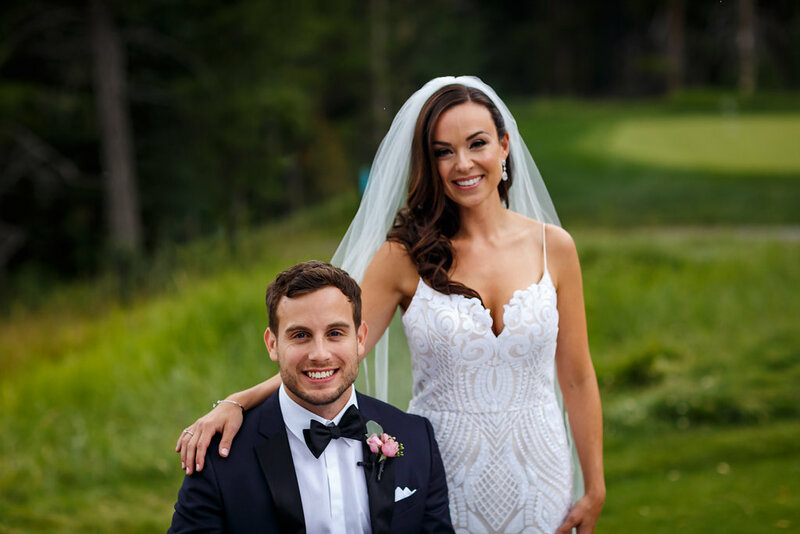 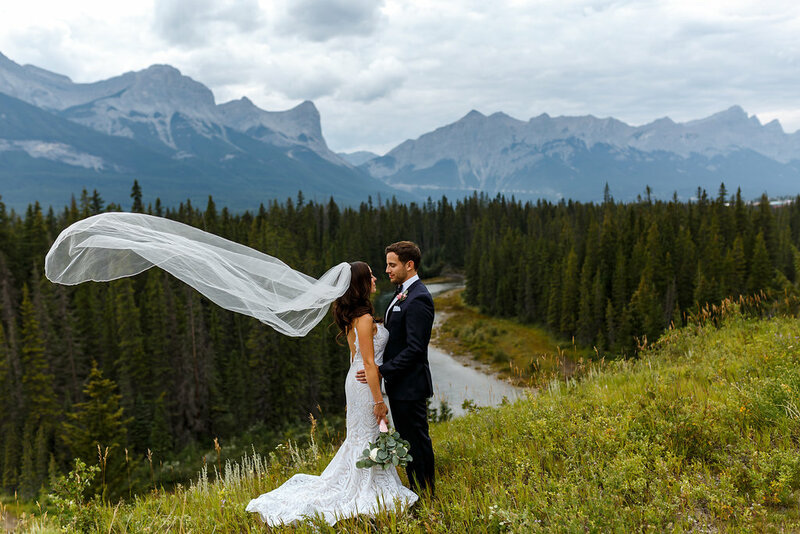 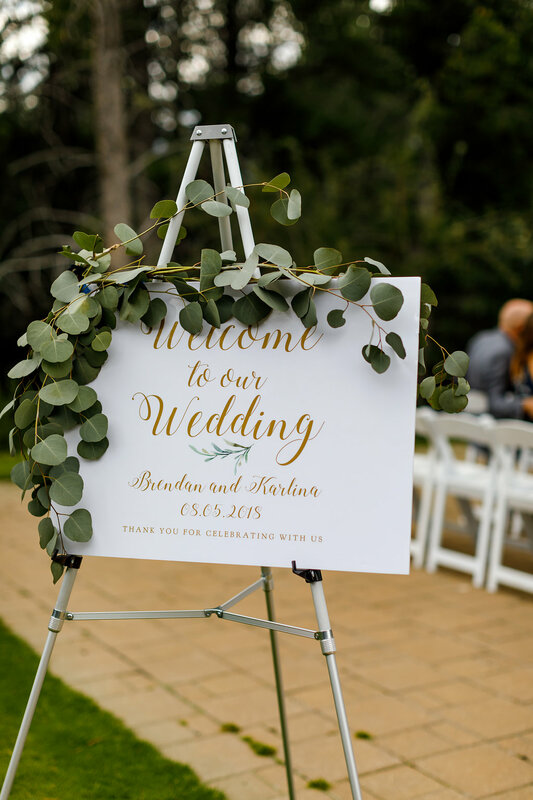 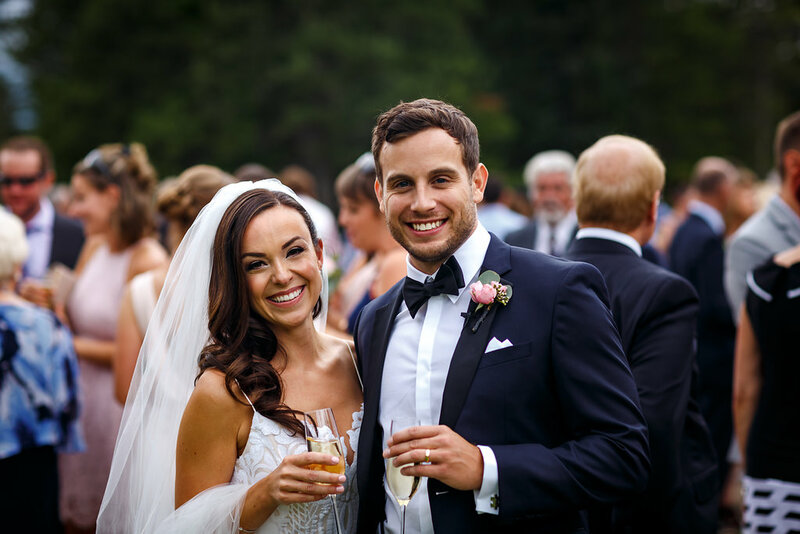 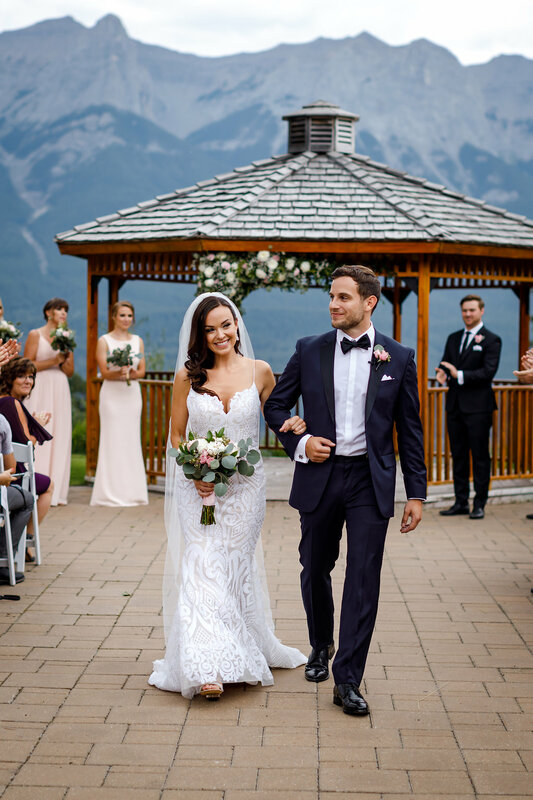 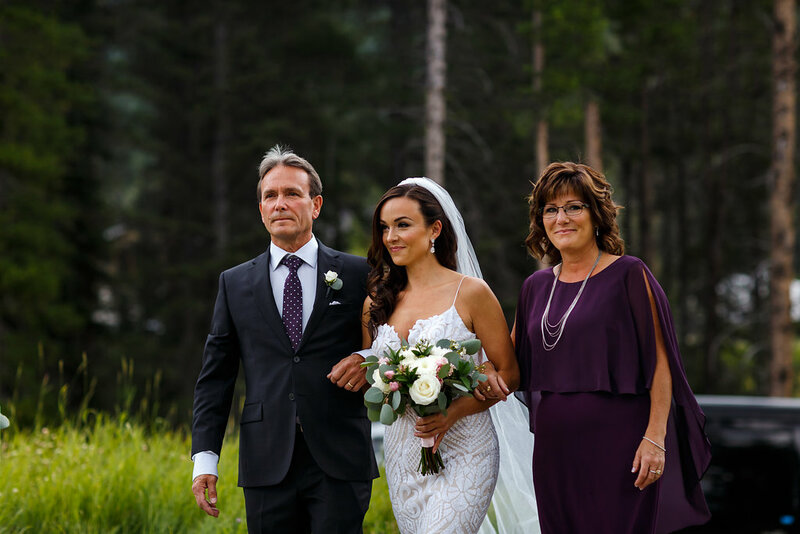 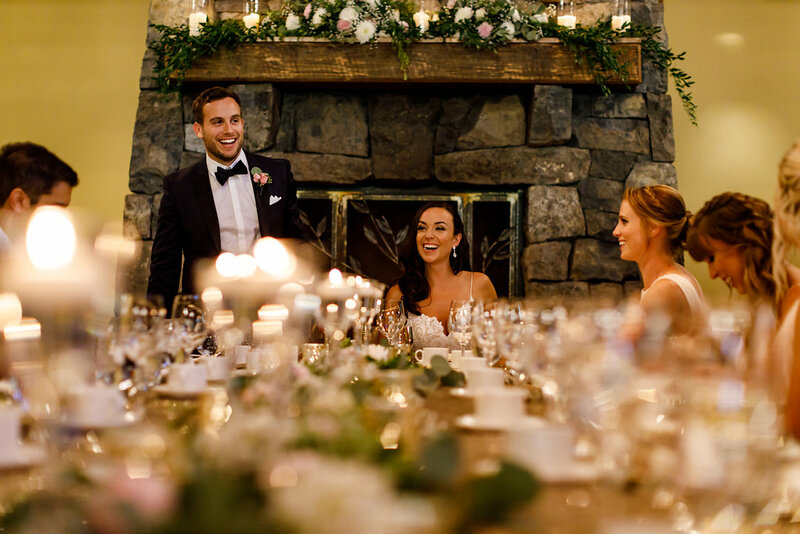 Karlina and Brendan got married surrounded by the beautiful Rocky mountains at Silvertip Golf Course on August 5th, 2018. 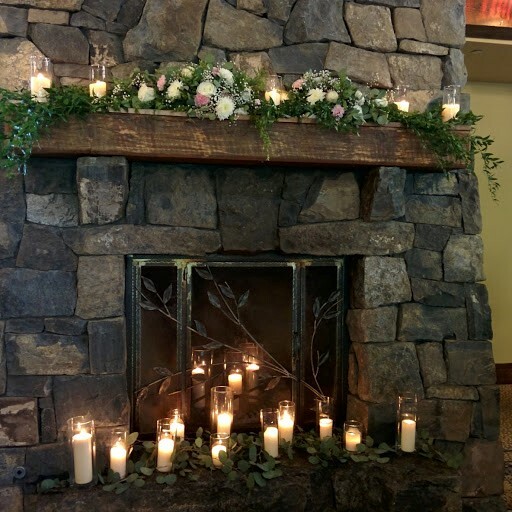 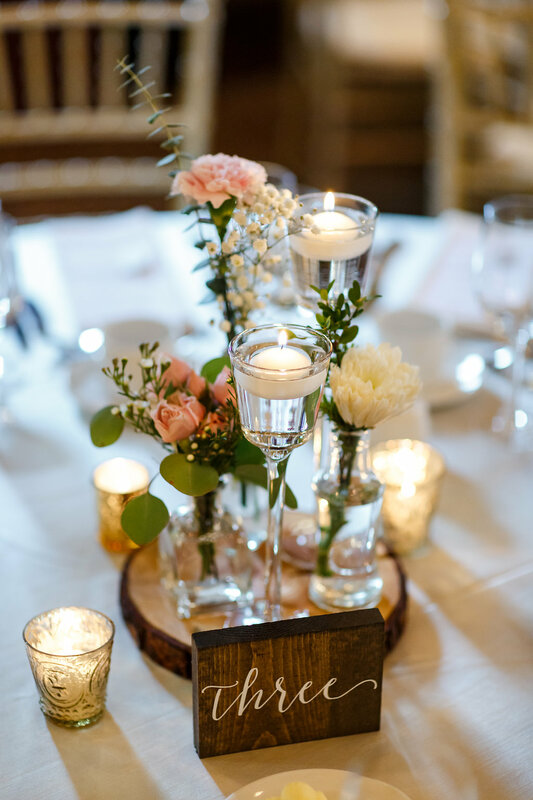 The colors for the wedding were blush, cream and gold with lots of candles and greenery. 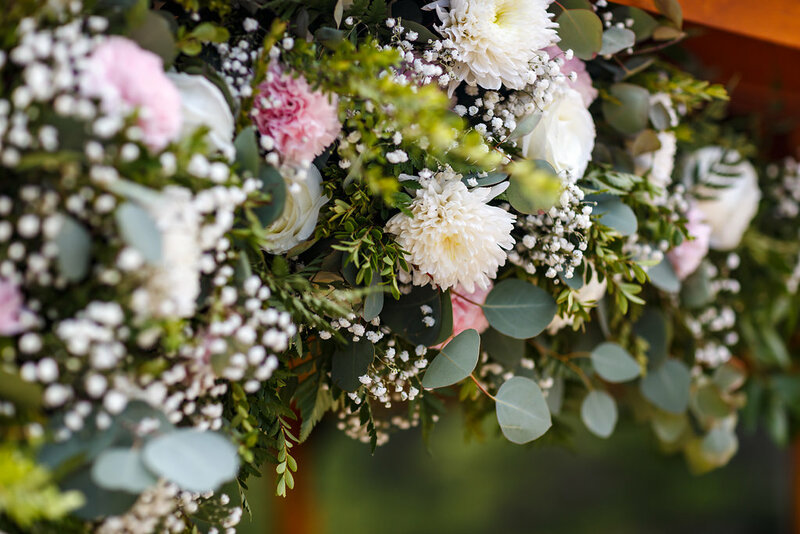 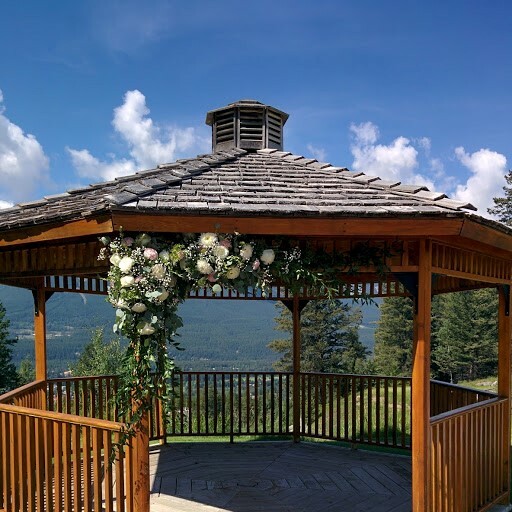 The ceremony was held in the gazebo decorated with flowers designed by DeeVine Petals . Brendan, the groom was escorted down the aisle by his parents. 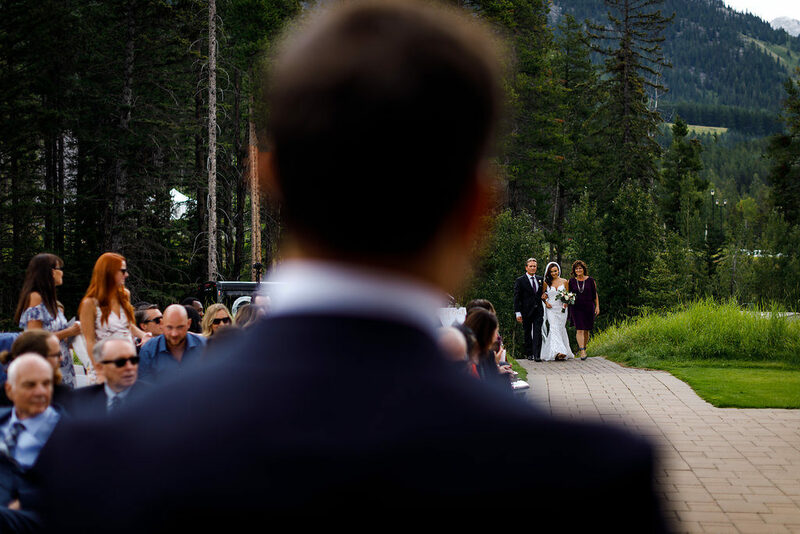 And then he waited and watched his bride walk down the aisle with her parents. 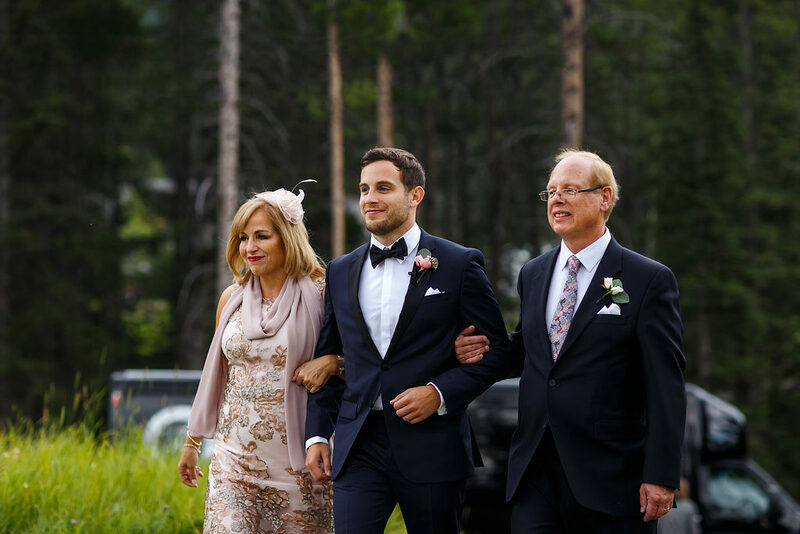 The ceremony was officiated by a family friend in front of 130 family and friends. All the guests were entertained Ensemble Cascade a husband and wife violinist and cellist. A champagne toast was held after the ceremony before family photos. 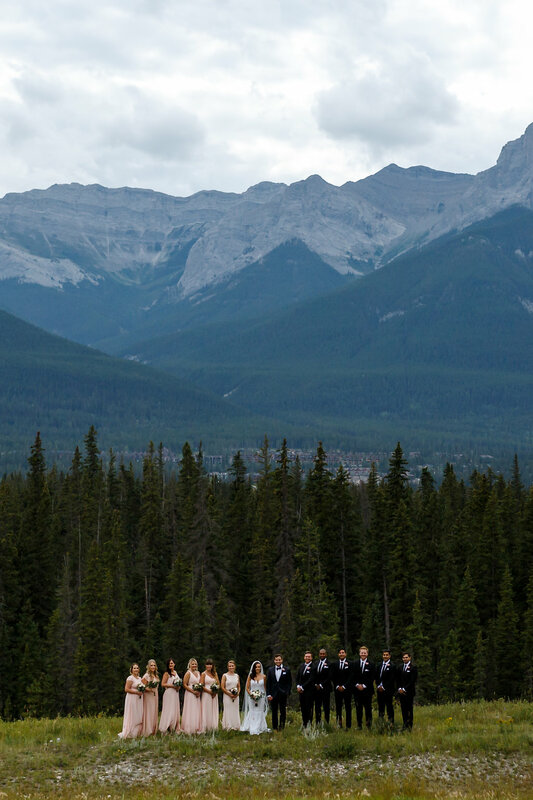 After a glass of champagne, the bridal party moved onto family photos as well as bridal portraits. 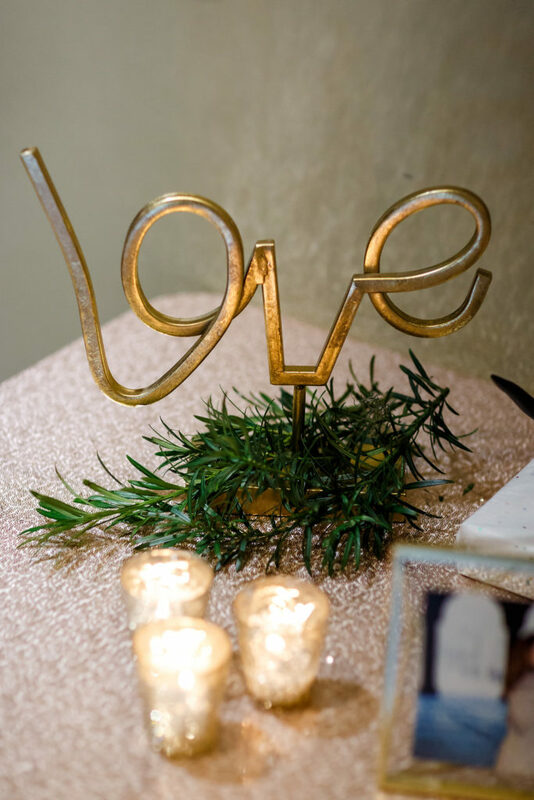 Meanwhile back in the reception room, Boutiq Weddings is finishing up the final touches on the decor. 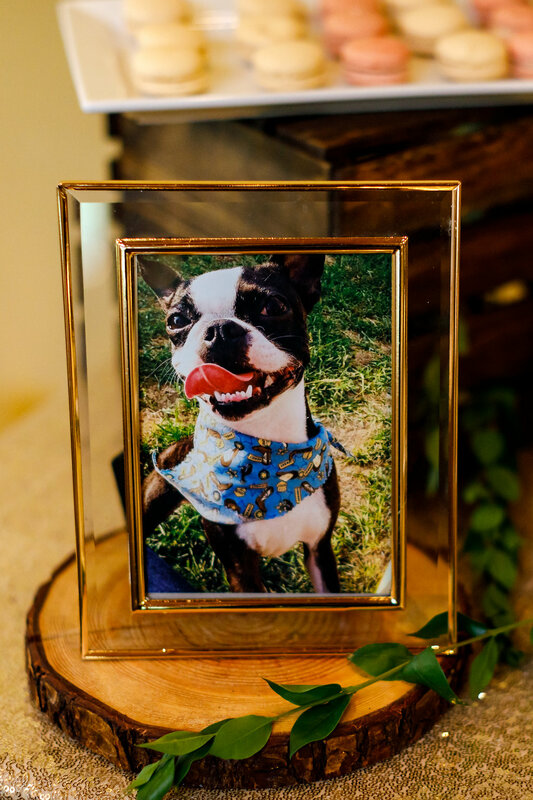 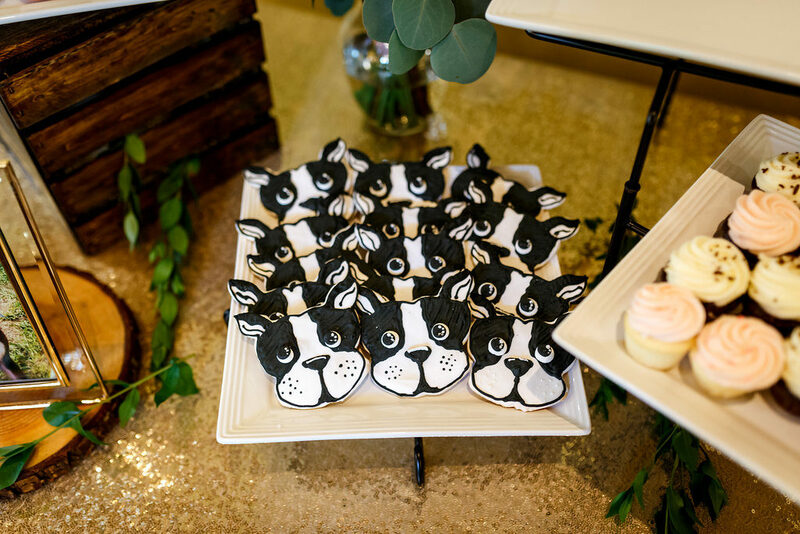 This handsome young woofer is Karlina and Brandon’s favorite and they honored him in the cookies. 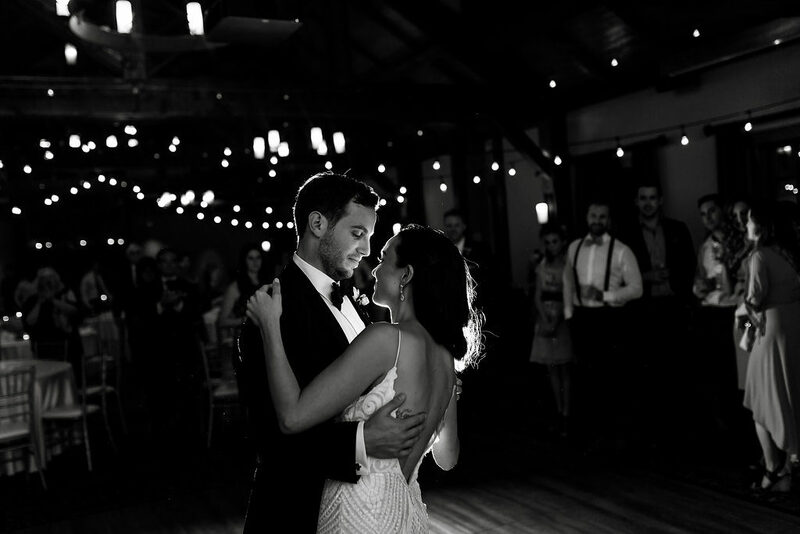 Speeches and the first dance followed. 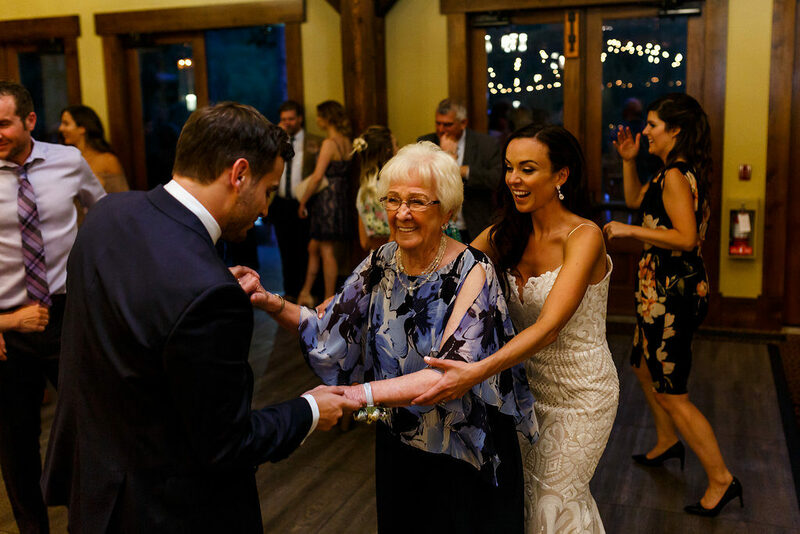 Even grandma got into the party! 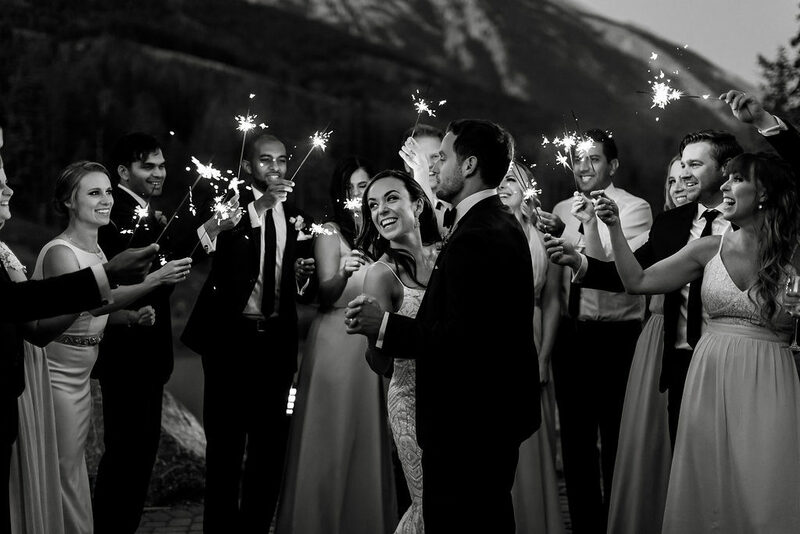 The party went on late into the night and a good time was held by all. 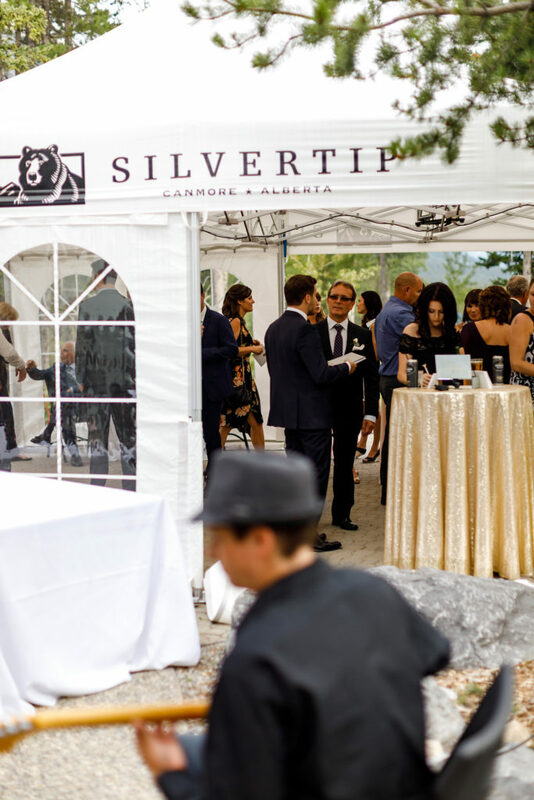 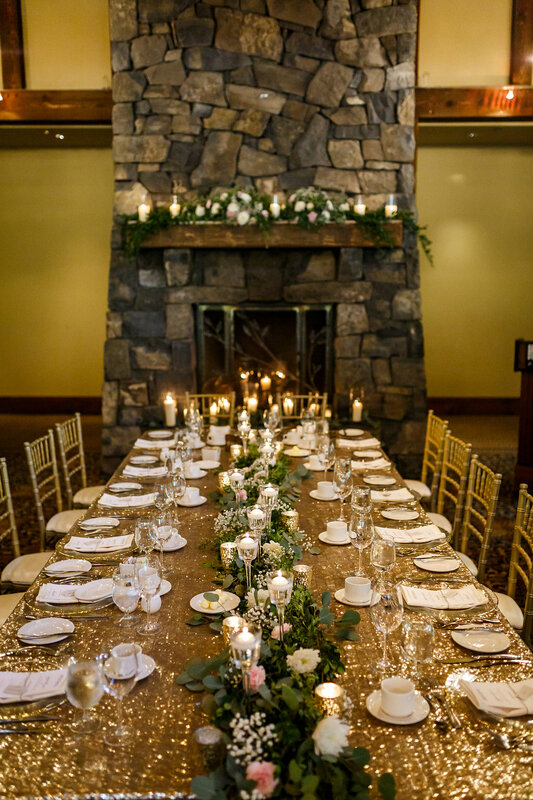 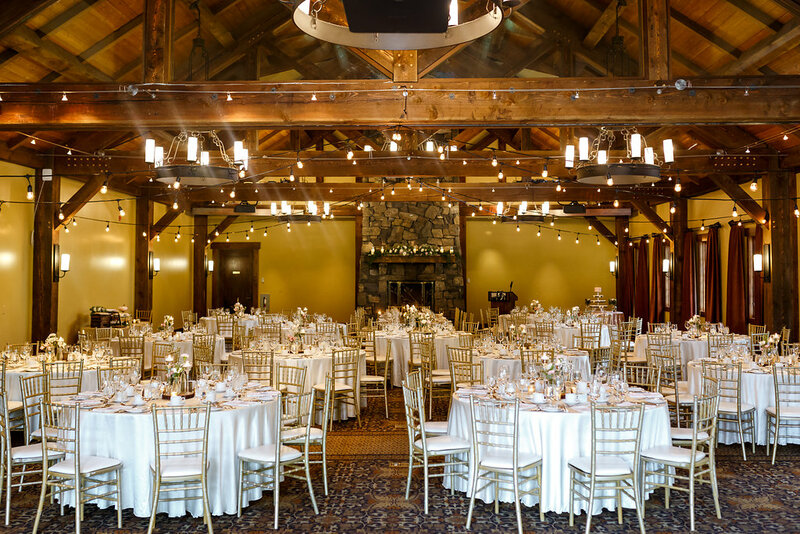 As a planner, I love doing weddings at Silvertip. 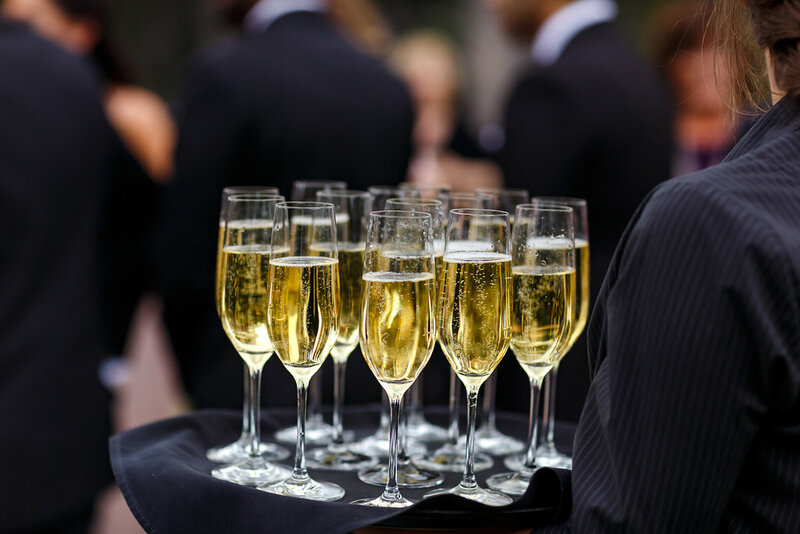 The staff is extremely well organized and helpful, the food is delicious and the service is excellent. 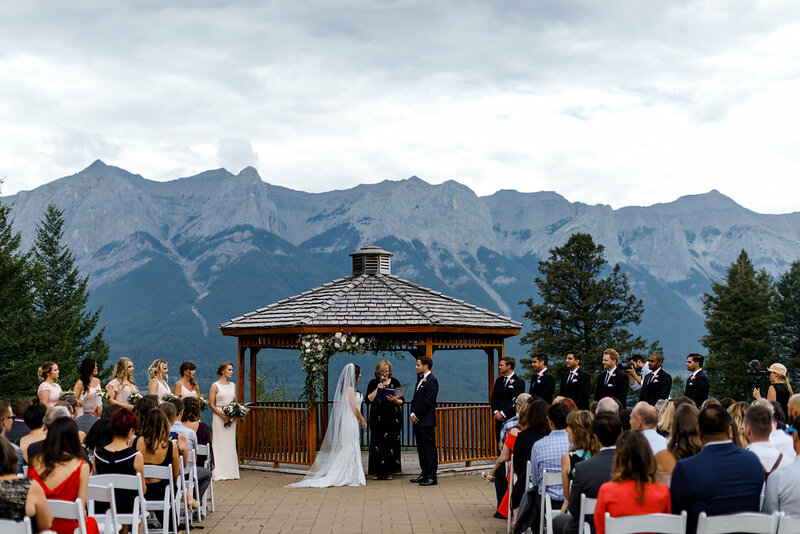 Not to mention, that the mountain views create a magnificent backdrop. 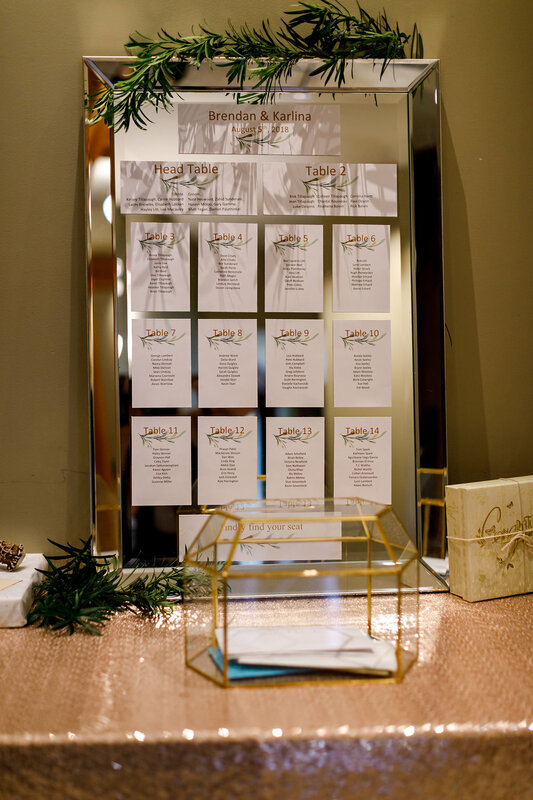 Thank you to all the wonderful vendors we worked with us on this wedding.